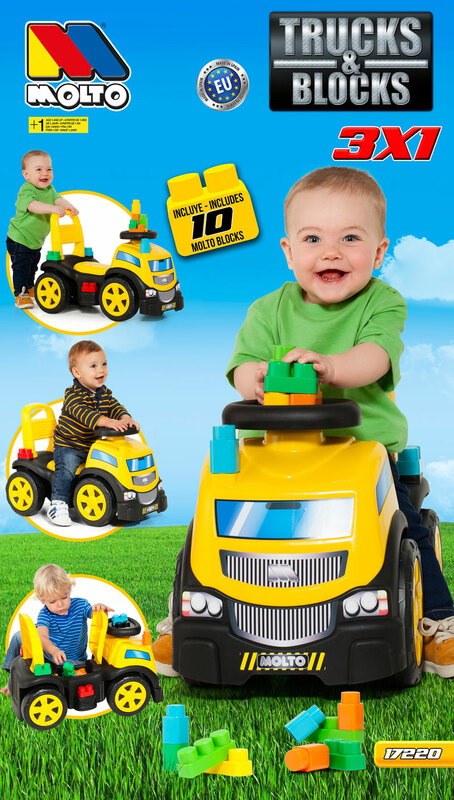 The new 3-in-1 Moltoshop truck ride-on shaped truck offers fun in abundance. The smallest of the house can use it as they want thanks to its 3 game modes; Ride-On:to run without stopping at home or in the park, walker: thanks to its lumbar support which serves as support to give its first steps and block game: Surprise! 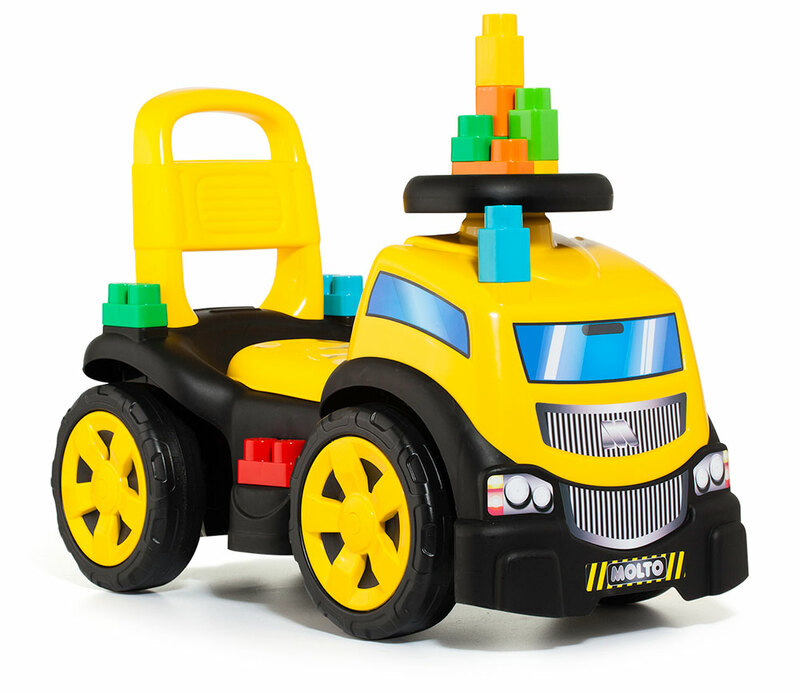 Open your trunk and you will discover blocks of colors to place on the runners or play with them however they want. You will love to see them enjoy from very small on this joggers. Fun and safety are attached to this jogger made for your little one. 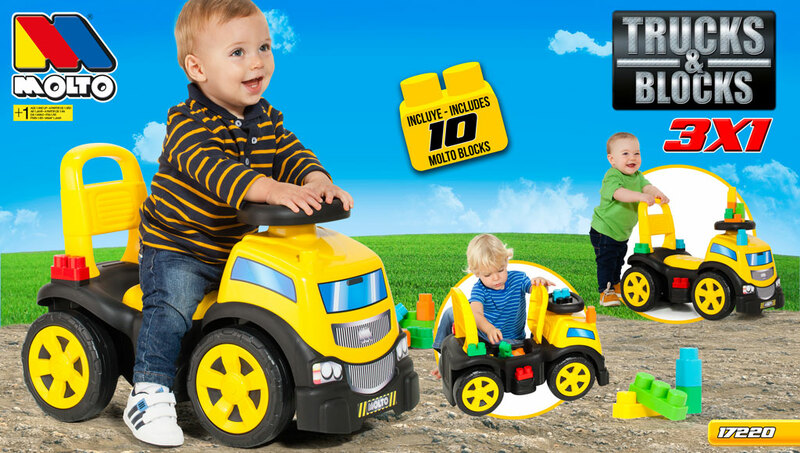 The little ones will enjoy running from one place to another in this fantastic stroller as real champions.